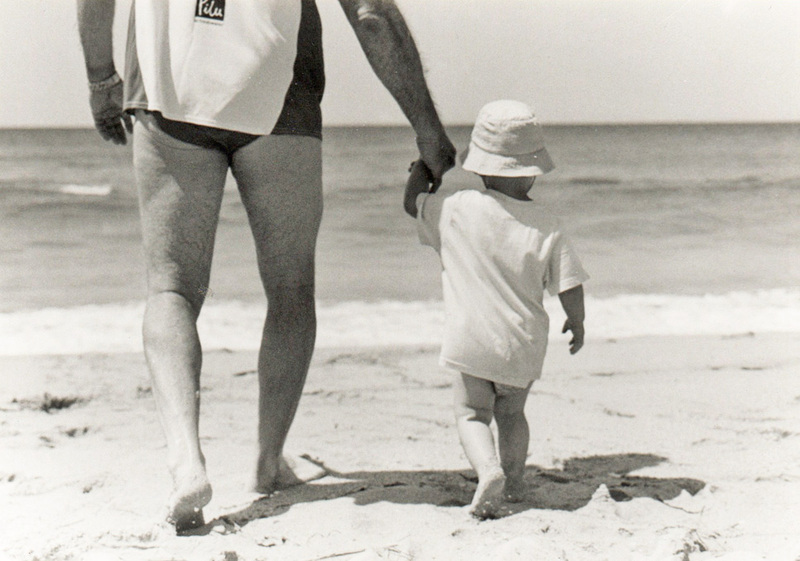 This is one of my favorite portraits of my nephew Lukas with his father, my brother-in-law Mike, taken on Manly Beach in Sydney, Australia. Of course every Australian needs to know how to swim, and the sooner, the better. Here’s Lukas, still in diapers, marching toward the water for a game of Chase the Waves. This is one of those lucky shots, with both of them in mid-stride. Unfortunately I tend to forget all about the horizon line when shooting near water, so it’s on a bit of a tilt. Whoops! Silver gelatin print, warm tone paper.